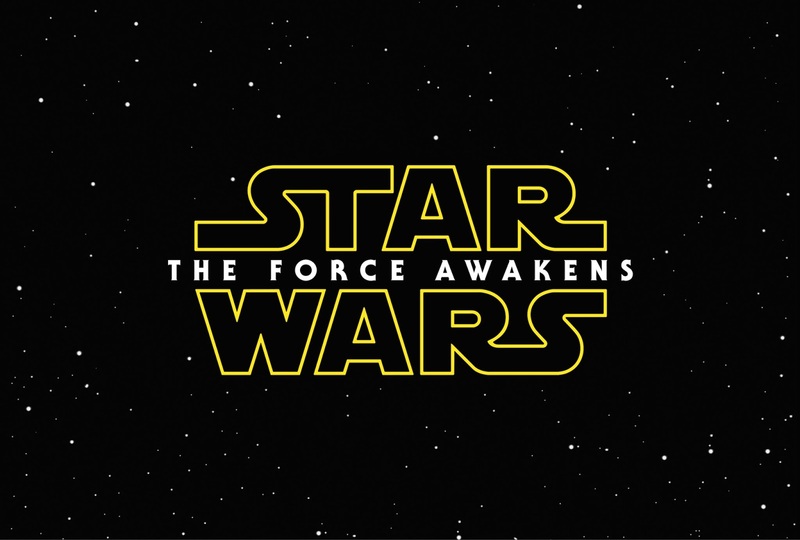 In just a few days, Star Wars: The Force Awakens will premiere in theaters. In anticipation, we've gathered to share our theories, thoughts, predictions, and hopes for the movie. Since Rica shared her marvelous theory about The Force Awakens, I don't have much else to theorize about at this point. However, I do have some thoughts of the identity of Rey. There isn't much known about her, yet. Sure, she's on the planet Jukka, she's a scavenger, and she purposely doesn't have a last name. Plus, in one of the various trailers, she mentions she's waiting for her family. Now, I know theories about her identity are being thrown around the internet faster than you can say "May the force be with you." Someone else has similar theories as me, I'm sure. I think there's no possible way Rey isn't related to the Skywalker family. Not very surprising, right? No, of course not. This is Star Wars after all. 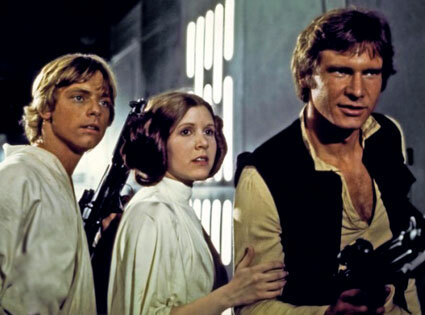 If there's one continuing thing in Star Wars, it's that the story follows the (dysfunctional) Skywalker family. But the question comes down to, which Skywalker is her parent? Some people are thinking Luke, which is valid. They attribute his voice over about the Force in the teaser to her, which would be weird for him to say "my sister has it" instead of "your mother has it." Also, the first glimpse of her in the trailer shows her walking on a desert planet in clothing similar to two other Skywalkers who grew up on a desert planet: Anakin and Luke. However, there are other factors to consider. For one, I can't help but think she's the daughter of Han Solo (which in turn, I hope, would mean the daughter of Leia). The way he talks to her in the trailer, the various magazine photo shoot covers, something about it points to her being awfully connected to Han. So my dilemma doesn't come with whether she is related to the Skywalker family (Come on, she has to be!). It's how. Plus, if you consider the thought of Kylo Ren being her twin brother (as some theorists think based on the poster), we've got a perfect match for the Solo twins. Or could they, this time, be the Skywalker twins? Even though I don't have any theories (beyond what Jaime, Rica, and Izzy have already said), I do have a list of things I'm looking forward to seeing. Oscar Isaac. He's apparently a fighter pilot of some sort, but the trailers have been surprisingly quiet about who he is or what role he'll play in the movie. Lupita Nyong'o. She is also in this movie, but her role is undisclosed at the moment. I'm looking forward to see what part she plays in this movie. Andy Serkis. This man has been in Lord of the Rings, Avengers: Age of Ultron, and now Star Wars. He's simply a franchise master. I look forward to seeing how he adds his unique flavor to the Star Wars universe. Finn (aka John Boyega). I'm 99% sure he's an ex-storm trooper, which makes me so excited. I'd love to see a possible redemption arc with him. He seems to be the one I know the most about (which isn't very much at all), and he does seem to have a ton of potential for character growth. Rey (aka Daisy Ridley). I can't wait to see what her actual identity is revealed to be. Billie Lourd, Carrie Fisher's daughter. No one knows what role she'll play, but that makes it all the more exciting. Things from the original trilogy, like the Millenium Falcon, Chewbacca, and maybe even C-3PO. Mark Hamill, Harrison Ford, and Carrie Fisher. I mean... need I say more? 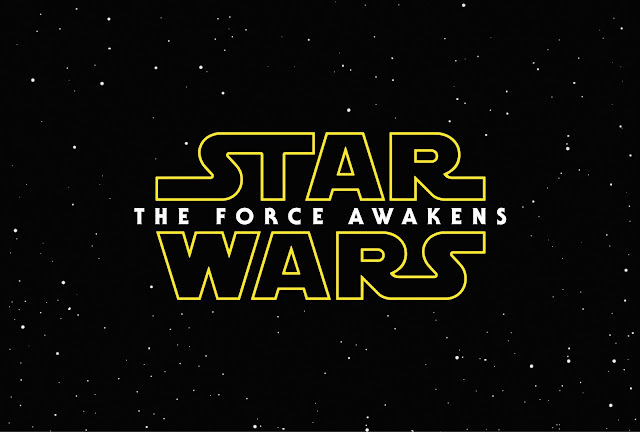 There’s lots of speculation floating around about The Force Awakens. And me being the obvious Luke fan in the room, I think you know what I’m about to speculate on. I mean, just look at Luke. How could he turn to the dark side? How could he not turn to the dark side? To be honest, I can ask either of these opposite questions with equal fervor. And that’s what I love about it. There’s a surprising amount of potential for moral ambiguity in neutral good characters. And when such characters do go bad, it usually places them in that super fun and interesting anti-hero/anti-villain category. So do I want Luke to be evil in the new Star Wars movie? Well, that’s a complicated question. I don’t like the Jedis. I don’t think they deserve to have him on their side. So, it would be one thing if he was going out to stop some of their influence somehow. For example, if the Jedis decided to sacrifice someone he cares about for the “greater good” and he joined the dark side to stop them. I think I would be very interested that because I could still be on his side. Because I would do the same thing if I was him. But if Luke goes to the dark side in the new movie, I don’t think that’s how it will go down. I don’t think J.J. Abrams would go that route. I think if Luke went evil in the new movie, he would become evil in an out-of-character way, losing everything that made him the good person we know, and instead being consumed with evil simply because “going to the dark side runs in his blood”. I think they would make him genuinely bad, and that he would hurt innocent people. And then not only could I not root for him anymore, he wouldn’t even be Luke anymore. Even if it would make for a psychologically interesting story, there are some characters that aren’t supposed to go bad because they just so firmly represent something good. I think Luke is one of those characters. Plus, it would basically invalidate the entire point of the original trilogy, which was literally about his journey to become a Jedi and avoid going to the dark side. But as nervous as I am about Luke possibly becoming evil, oddly I’m actually more concerned about him being a hermit. All of the different rumors center around him being a hermit, choosing of his own free will to never be around other people, similar to what Obi-Wan and Yoda did. It might sound trivial, but the first thing we learn about Luke in the original trilogy is that he’s an extrovert who becomes very miserable and restless when isolated from friends or people he can socialize with. That’s why he hated living on that farm in the middle of the desert and was desperate to leave. 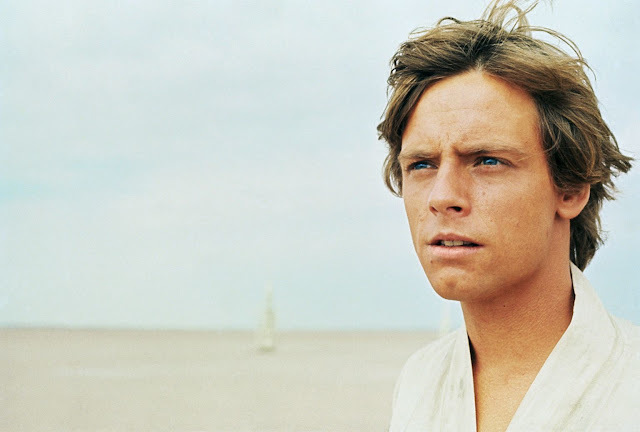 It makes me worry that maybe J.J. Abrams doesn’t know Luke’s character as well as he should, and is just turning Luke into a hermit because it fits some “Jedis are supposed to be isolated and mysterious” stereotype, or just for the sake of having him follow in the footsteps of his mentors. But Luke isn’t an introvert like Obi-Wan and Yoda were. HE. CAN’T. STAND. BEING. ALONE. Especially not for extremely long periods of time. Especially decades as they‘re hinting. So why on earth would he choose of his own free will to live as a hermit? Instead of trying to turn Luke into Obi-Wan, or turn him into Yoda, why don’t they just let Luke be…Luke? Seriously, he’s an amazing character just the way he is. They don’t need to turn him into someone else just for the sake of a parallel. Now that these movies are being written by someone other than the original creator of the character, I don’t want Luke’s character to suddenly have a different personality. I want Luke to be Luke. Besides the “Luke went to the dark side and is now a villain” theory, I’ve heard a lot of other conflicting rumors and theories about Luke. I heard one that says Luke is just fine. That he’s hiding out, studying the force, becoming the most powerful Jedi in existence, and that he’s not in the trailer much simply because he doesn’t appear until the end of the movie. I saw a rumor that Luke is guarding some ancient tomb or artifact from the enemy, and is being tormented by evil spirits. But there was one rumor that especially stood out to me. And according to that rumor, Luke became more and more powerful in the force until his abilities were too big for him to control, and he’s become accidentally dangerous. And because he’s so worried about hurting other people, he chooses to go far away to an isolated place where he can no longer be a danger to anyone. And the seclusion, along with the overly-strong connection to the Force messing with his mind, leads him to go insane. Not evil. Just insane. Even though it sounds weirdly like Elsa on Frozen, I like this idea so much. Because I just recognize Luke so much in that. It’s like finally seeing his face among a bunch of pictures of other people. Yes. That is Luke. That is his Fe. That is his unstoppable desire to protect other people all the time. And the fact that he’s protecting people from himself just makes it so much more interesting and complex. It’s one thing to constantly protect people from danger. But if he is the danger? I am firmly convinced that is the only thing that would ever motivate the extroverted Luke Skywalker into years of seclusion. And the fact that the seclusion leads him to go a bit crazy also fits his extroverted nature. Also, this allows SO many possibilities. It allows Luke to be a wildcard and to be unstable in his decisions without being actually evil, while also staying completely in character. It could also explain so many things about other people’s backstories. Maybe one of the new characters in the upcoming movie is Luke’s son or daughter. Maybe he had a wife he killed by accident with his out-of-control powers, or just hurt or scared her, and that’s how his son/daughter became estranged from him. Maybe that was the last straw that made him go into hiding. Maybe he’ll have to deal with the grief from that. Ahh, there's so many cool things they can do with this. J.J. Abrams, please do this. Please, please do this. Although, I hope he doesn’t stay insane and unstable forever and eventually finds some peace. Hopefully his arc will be about just that, about the journey to that point. It would be really awful if his ultimate fate was some tragic ending with no light at the end of the tunnel. Also, at some point in the new Star Wars trilogy, one of two things has to happen. I won’t settle for anything less. Either 1.) Rey or Finn has to be the daughter/son of Luke, and he tells them kindly and gently “I am your father.” Or 2.) Kylo Ren is Luke’s son, and Luke tries to seduce him to the light side of the force. Something has to echo his relationship with Vader in the original trilogy, but in an opposite way. 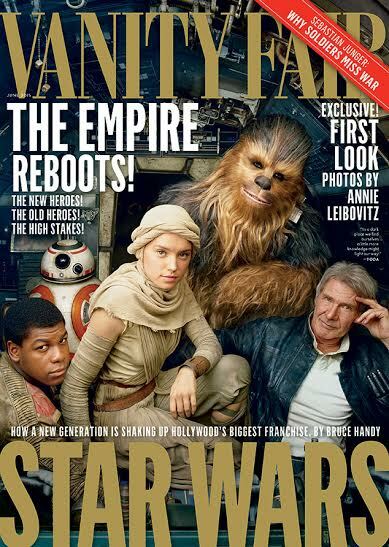 So, overall, really looking forward to The Force Awakens. But also very nervous. The prequels being a disappointment were one thing, because they didn’t really have any of my favorite characters in them. But The Force Awakens will have not only my favorite Star Wars character in it, but one of my absolute favorite fictional characters ever. If they do it wrong…ugh. But. If his characterization is done well and in-character, and his story is interesting at ALL on any level? I’m just so here for it, and I can’t wait to find out what direction they take his character when Star Wars: The Force Awakens finally arrives in theaters on December 18th. What do you think will happen in The Force Awakens? What are you most excited to see?